E acho que vai ser assim, nestes tons mais de rebuçado e com alguns elementos em papel. Este ano estou inclinada para os verdes, brancos e talvez rosa. Ainda não sei... Vão-me acompanhando e dando as vossas opiniões, já sabem que as cores dos meus Natais não são as mais tradicionais, mas é sempre bom ver coisas diferentes, não acham? 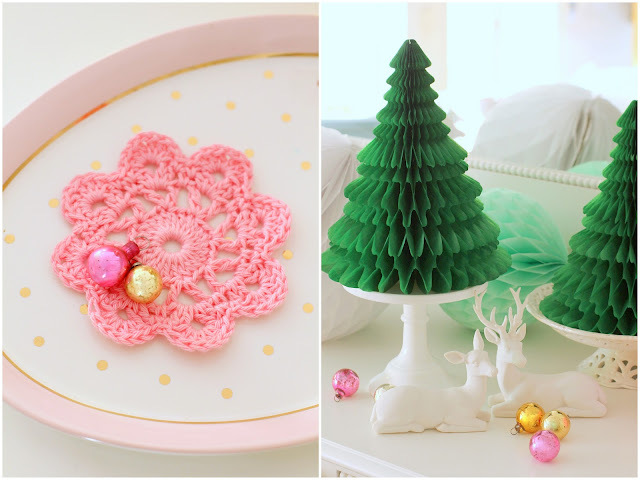 And I think these will be the colours for this year Christmas, baby hues together with paper elements. I'm still not sure though, been thinking a lot about green and white, maybe some pink... join me here at the blog and check how the decorations evolve. You know my Christmas colours aren't traditional ones, but I'd like to hear your opinion, guessing that different options are always a plus, no? 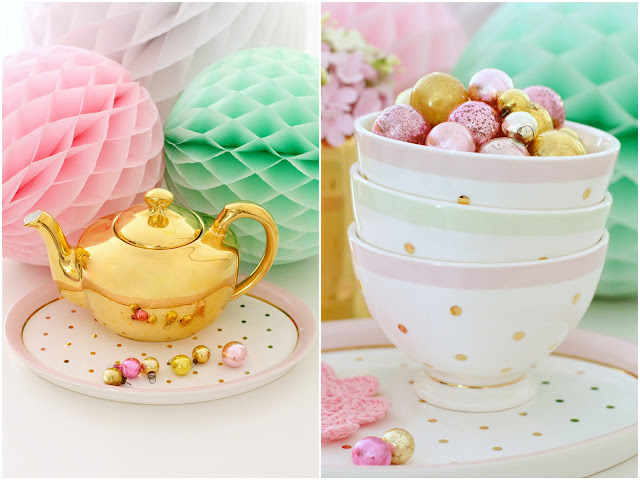 The polka dot oval platter and bowls are for sale - a great Christmas present! :) And join me here at the Facebook page, I'm celebrating more than 5.000 followers over there, after 2 years of opening the page.